Community members gathered in Pittsburgh to remember the victims of the Oct. 27 shooting at Tree of Life synagogue. Photo courtesy of the Office of Gov. Tom Wolf/ Creative Commons. In the year since a gunman terrorized First Baptist Church in Sutherland Springs, Texas, on Nov. 5, 2017, more faith communities have been violated by gun violence. Most recently, 11 men and women died at Tree of Life synagogue in Pittsburgh on Oct. 27. Like any mass shooting, these attacks are heartbreaking and overwhelming, prompting conversations about gun control and mental health. Because of their location, they also challenge shared assumptions about sacred spaces, raising the question of whether any place is truly safe. Shootings at houses of worship are reshaping how faith communities approach their time together, increasing interest in security training and participation in gun policy debates. Here are some sources, research studies and articles that can help you cover these developments. Read “The Jews of Pittsburgh Bury Their Dead” from The Atlantic on Oct. 30, 2018. Read “American Jews have feared this kind of attack for years, but still kept their doors open. Here’s why” from CNN on Oct. 29, 2018. 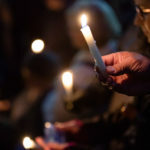 Read “‘We will not be broken:’ Emotional vigil held for victims of Squirrel Hill synagogue shooting” from the Pittsburgh Post-Gazette on Oct. 28, 2018. Read “How Should Churches Respond to Mass Shootings?” from Christianity Today on Oct. 28, 2018. Read “A year after the Antioch church shooting, how a renovation is helping Burnette Chapel heal” from The Tennessean on Sept. 23, 2018. Watch “Faith responses to gun violence” from the Religion News Association’s 2018 annual conference on Sept. 13, 2018. Read “LDS shooting witness: ‘People were screaming and hitting the ground’” from the Deseret News on July 22, 2018. Read “‘How do you forgive someone that just shot you and your wife?’ Antioch minister shows the way” from The Tennessean on Nov. 22, 2017. Read “Could it happen here? How churches are preparing for a mass shooting” from Religion News Service on Nov. 14, 2017. Read “The truth about church shootings” from CNN on Nov. 10, 2017. Read “‘Nothing Is Sacred’: Religious Leaders Take Action on Attacks in Houses of Worship” from Time on Nov. 9, 2017. Read “Texas church to be demolished, like other mass killing sites before it” from Religion News Service on Nov. 8, 2017. Read “‘Evil has invaded sanctuary’: Texas massacre likely the worst church shooting in U.S. history” from The Washington Post on Nov. 6, 2017. Listen to “The Oak Creek Temple shooting, five years later” from Wisconsin Public Radio on Aug. 2, 2017. Read “Imam and His Assistant Killed in a Shooting Near a Mosque in Queens” from The New York Times on Aug. 16, 2016. Read “How Do You Forgive a Murder?” from Time on Nov. 12, 2015. Read “Nine killed in attack at Emanuel AME Church” from The Post and Courier on June 17, 2015. Read “Gunman Kills 6 at Sikh Temple Near Milwaukee” from The New York Times on Aug. 5, 2012. Jamie Aten is founder and executive director of the Humanitarian Disaster Institute at Wheaton College. Carl Chinn offers security training for churches and other faith-based organizations. He is the author of Evil Invades Sanctuary: The Case for Security in Faith-based Organizations. Dallas Drake is co-founder of and senior researcher at the Center for Homicide Research, which compiled a database of church shootings that occurred between 1980 and 2005. Balhair Singh Dulai is the president of the Sikh Temple of Wisconsin, the site of a 2012 shooting that left six people dead. The temple’s website still features a tribute to victims. Beth Kissileff is an author and journalist based in Pittsburgh. She is a member of one of the congregations that meets at Tree of Life synagogue and, after the Oct. 27 shooting, shared stories about the religious lives of the victims she knew. The Rev. Eric S.C. Manning is the pastor of Mother Emanuel African Methodist Episcopal Church in Charleston, S.C., the site of a 2015 mass shooting. He has served in this role since June 2016. Mike Martin is founder and executive director of RAWtools, an organization that confronts gun violence by leading community dialogues and transforming guns into garden tools. He is also the co-author, along with Christian activist Shane Claiborne, of Beating Guns: Hope for People Who Are Weary of Violence, which will be published in March 2019. The Rev. Erik J. Richtsteig is the pastor of St. James the Just Catholic Church in Ogden, Utah. He was leading Mass in June 2013 when a man with a gun entered his sanctuary and shot a parishioner. The Rev. Rob Schenck is an ordained evangelical Christian minister and president of The Dietrich Bonhoeffer Institute in Washington, D.C. In response to rising gun violence, he is working to challenge evangelical support for gun ownership. The Rev. Joey Spann is the minister of Burnette Chapel Church of Christ in Antioch, Tenn. He was shot twice during a Sept. 24, 2017, attack on his church. Barry Young is the vice president of operations for Strategos International, which provides safety training for businesses, schools, hospitals and churches. He previously served as director of security at two churches in Kansas City. “Packing in the Pews: The Connection Between God and Guns” from Christianity Today on Nov. 8, 2017. Timeline: “A list of some U.S. house of worship shootings since 2012” from The Associated Press on Nov. 6, 2017. “Evangelical Leaders Own Guns, But Want Stricter Laws” from the National Association of Evangelicals in August 2017. “Americans Say Better Mental Health Screenings Best Way to Prevent Future Mass Shootings” from Public Religion Research Institute on Jan. 23, 2013. “United States National Church Shooting Database, 1980-2005” from the Center for Homicide Research in March 2010.